Organizing is very slow and it can be frustrating. Meetings can be difficult because of conflicting interests not to mention personalities. We can all improve. If everyone follows these tips—some of which are obvious, some of which are counterintuitive (over-agreeing)—meetings suddenly get much less annoying and more productive. I was given this list by a friend who found them here (printable version)—and there are many other resources on that website as well. Printing them and handing them out at the beginning of meetings could save everyone a lot of time and anguish. 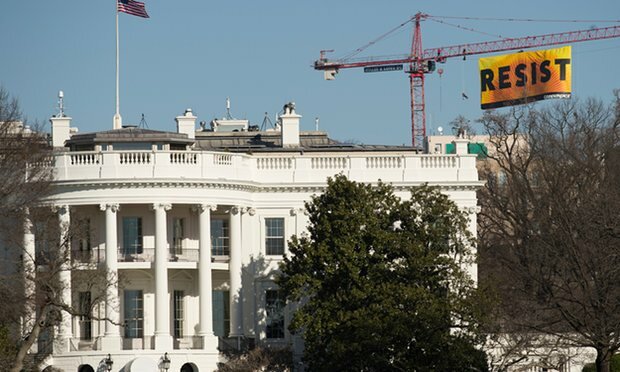 Also, great use of textiles, Greenpeace. • Give clear direction and purpose to the group. • Help the group identify and state its goals, and keep the group focused on achieving its goals. • Suggest procedures for achieving goals. • Identify, clarify, and define problems. • Show the group which information is relevant to its work and help to decrease confusion. • Request or provide relevant facts, define terms. • Try to show consequences of plans and positions, and show how ideas in the group are relating to each other. • Give examples, explain, pull together related ideas, and offer conclusions. • Look for and lift up areas of unity and agreement. Help the group move towards consensus. • Help the group move toward and make decisions. • Initiate discussion on and agreement about how decisions are made. meet the needs of the group. • Maintain open communication. Suggest procedures for discussion. • Ask for information and opinions from others and listen to others. • Draw out others’ opinions, give recognition to others. Accept others’ opinions. • Be friendly, warm, responsive to others. • Seek full identification and use of all members’ resources. • Express your own feelings. • Identify, acknowledge, and help to reconcile differences. Get people to explore differences. • Help reduce tension, identify and suggest common ground. • Be willing to let your opinion change throughout the meeting. • Make the group aware of how it is working on its task. unmet by the current process. • Initiate evaluation of the group’s emotional climate, members’ satisfaction, etc. • Be quick to agree with the ideas of others and provide uncritical agreement. • Be quick to disagree with the ideas of others; struggle aggressively for your ideas and your place in the group. • Focus on individual needs, rather than the needs of the group or organization as a whole. • Actively and continually assert yourself in the group. • Take charge by imposing a set of ideas and molding all other ideas to these focal ideas. and by sitting and moving in ways which draw attention to yourself. personal attack or a lack of appreciation for your hard work. • Slow down group process by preventing group decision-making. • Draw attention to every detail of unclarity and every unexplored source of conflict. • Encourage people not to compromise and not to give assent to group procedures and ideas. • Indicate suspicion of the motives of others. • Point out all difficulties, indicate the likelihood of error and failure and the difficulty groups have in successfully solving problems. • Let your attention wander. are bored and wish the meeting to be over so you can do something else. to ideas, decisions, and the group itself. • Whatever the topic being discussed, relate it to your own personal experience. to examples from your personal experience. I’m pretty sure most of us are guilty of at least one of the items on the negative list. This entry was posted on Thursday, January 26th, 2017 at 11:42 am	and is filed under cities, politics, textiles. You can follow any responses to this entry through the RSS 2.0 feed. You can leave a response, or trackback from your own site.